Hello lovelies! I’ve had a few emails over the last few months about the weekly Paint Color Crush design boards I was doing in the spring. I am so glad that a bunch of you are enjoying this series!! If you’re new to Paint Color Crush, every week I share a design around a great paint color mixed in with some saves, splurges and interesting finds I’ve come across. Between the spring One Room Challenge (that took me 14 weeks to finish), summertime and then getting Peter off to college, I took a little sabbatical, but it’s officially back today! FYI – Affliliate links included in this post for your convenience. What’s striking my fancy this fine fall day: traditional with a dash of edgy. THE PAINT A soft, warm grey. 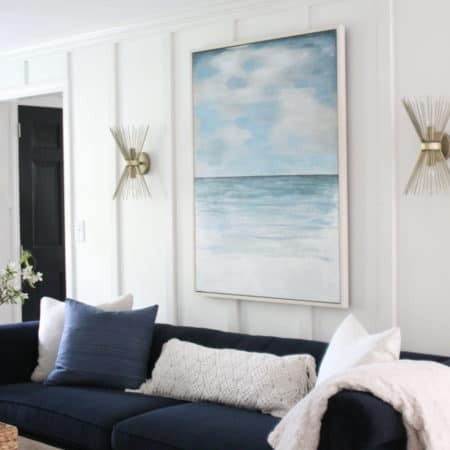 See it on the walls of this beautiful living room by Sue de Chiara of The Zhush. SAVE The sectional is the new slipcovered Farlov from Ikea! If this was around when I was in the market for a sectional I would have bought it in a heartbeat. While it’s on the smaller side, for $1500 it gets the job done and is actually quite comfortable. Our sectional (from a local furniture store) was twice as much on sale and is meh, fine but not amazing. SPLURGE If you want to invest in a higher quality sectional I highly recommend this line – the most comfortable couch we’ve ever owned (lost to a septic flood in our last house). My parents-in-law have had a sectional from here for over 20 years and it is STILL super comfortable. SAVE All Pottery Barn rugs are on sale, some up to 40% off. I always keep an eye out for Pottery Barn rug sales because in my experience their wool rugs are great quality; just recently I helped one of my clients choose a new PB rug to replace an old one she’d had for at least a dozen years, through 2 kids, 2 dogs and tons of teenagers hanging out in the space. 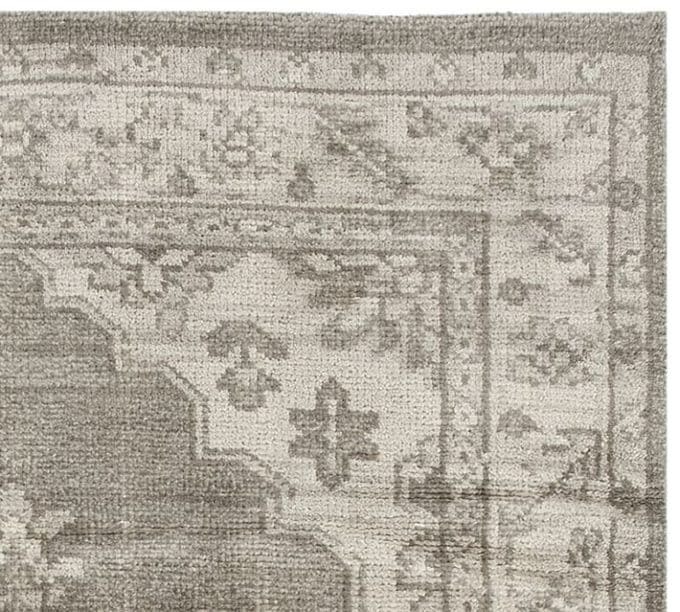 The old rug was relocated because it is still in great shape – a well made tufted wool rug holds up so well year after year, especially if it has a pattern to hide it’s age. 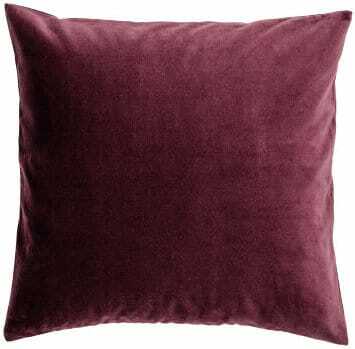 SAVE The $9.99 velvet pillow covers are a great way to inject some seasonal color into your space without making a huge commitment (these ones come in 14 colors). I love this color combination. 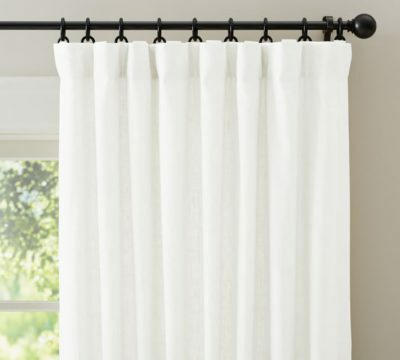 SPLURGE Pottery Barn’s Emery cotton/linen blend curtains are on sale ($104 for a 96″ panel); depending on how many windows you have this expense can add up, but the Emerys hang beautifully and come in several lengths so you can hang the panels high and wide. THE HONORABLE MENTION IS…..once again, the art! Meilani of MeiFlowerArt on Etsy has so many cool prints, including street maps that I love, but this Prince print is my favorite. Visit this artist if you’re looking for something a little different and interesting. 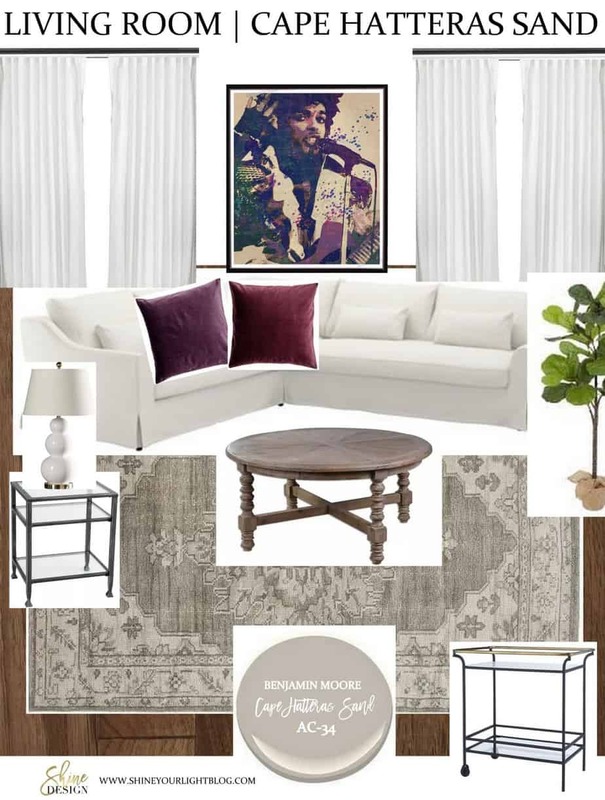 You can’t go wrong with a neutral space that is easily changed up with art, pillows and accessories! 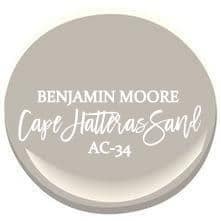 Follow the Paint Color Crush Pinterest board to see examples of Cape Hatteras Sand and other beautiful paint colors. And check out more of the Paint Color Crush design boards here! Seeing quite a bit of the plum and garnet tones this fall. Great wall color. 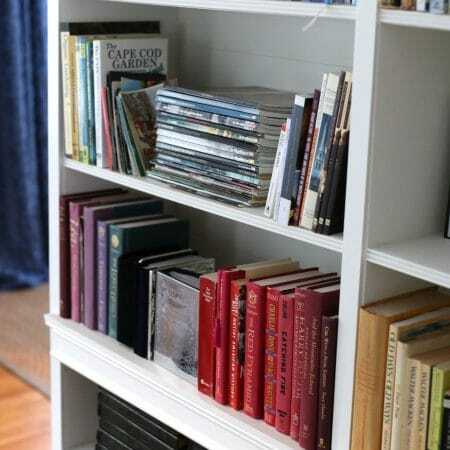 I love that paint color with white trim, it really pops. 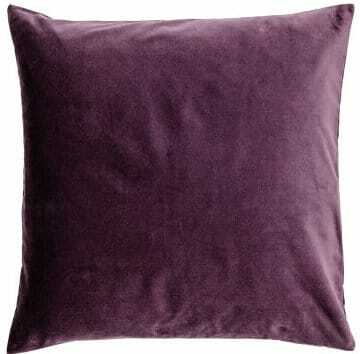 Yes plum has been showing up everywhere this year! Have a great weekend Lauren, thanks for visiting! This is a great series Lisa and I love how it shows off your design savvy talent too! Aww thanks so much Vel, you are too kind!